Search engine results can be strange. But in no way can that wonderful tool can be blamed for being unfair and playing favorites. The fault is on the part of person who makes up the search query. Some of the hosts of popular talk shows have taken to including segments in their program where they do a generic search via the Internet for certain things just for the fun of seeing what they come up with. For example, one night show host goes beyond the first 2 or 3 pages of the results and goes way to the end to see what the search engine really found. Another talk show host was putting in silly phrases and came up with cute cat video or something like that. I have several articles at a particular site. They’ve been sitting there for years. I decided to search for one of the articles by title just to see where it would appear in the search results. To my surprise it actually did show up on the first page of the results. But then I noticed that there were two other results that appeared before my article in the list. Curiosity got the better of me, so I clicked to see “why” those two links ranked higher in the list than my link. My article was about the reason why people should save the trees and particularly two trees that I happen to like! I couldn’t believe the other links ranked higher than mine! Anyway … I’m happy my page showed up in the search results at all. It proves to me that even if real people can’t find my stuff because they just don’t know what to look for, at least I know it’s not the search engine’s fault! I heart search engine optimization. It shows no impartiality and it’s fair! This is so good to know. Thanks for this article. Click, a BBC program did a review and found that Search Engines do influence results and beliefs. That what comes first, with all it’s bias or misinformation is accepted by the public. Search Engines do not always do a real search in that there could be great stuff in pages that follow. But we just look at the first page. Atleast that is what I do. Search engines were invented by humans. Humans are not perfect and have flaws. Search engines can’t possible ever be flawless. 🙂 That being said, it’s still a good search tool! Yes I agree @cmoneyspinner search engines are also evolving but we cannot blame them if we are not searching properly and also if our expectations are too high. The visibility of my blog site is not brought by SEO enhancement or SEO tricks and magics. I just write articles which I don’t know if they are rich in keywords or not. I was just surprised that the pageviews of my site have leaped in bounds. When I search the web, it could be found on the first page. Before I was thinking that I had to seek the help of the SEO expert in making my site earned and would attract visitors and followers. It’s good that I hadn’t started. If I did, I would be losing a large sum of money. SEO expert’s pay is high. For a newcomer like couldn’t afford it. So what I did is to search, read the experiences of seasoned bloggers and the rest online writers. In my own making, I am happy that my blog site has reached to 844,736 pageviews with 244 readers. Many have emailed me for a text-ad and sponsored posts to be posted on my humble blog site. And I am earning a penny. What is your blog? Where else can you be found on the Internet besides here at LiteracyBase? The good thing is that there are commands and that we can use to choose exactly what kind of results we want to see. In google, you could put a sentence within quotation marks to make the search include things that have that sentence, word by word. There’s also the use of the minus sign to remove results with the term that is specifically placed after the minus sign. But no matter how well versed you are with SEO and search codes, you will never find what you want if its not indexed in the first place. Some people choose NOT to have their stuff indexed. I don’t. I’m not using the Internet to NOT be found. @Treathyl FOX , you are absolutely. 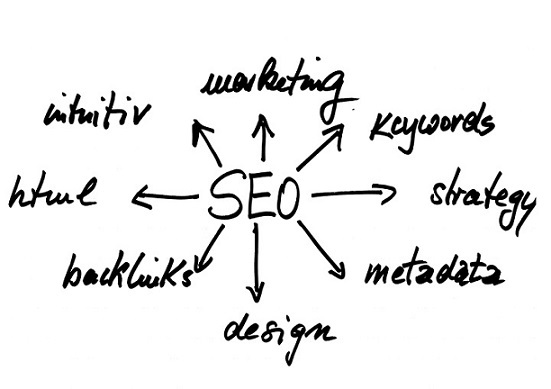 Search engines are programmed by goggle men for the easy research of their clients.